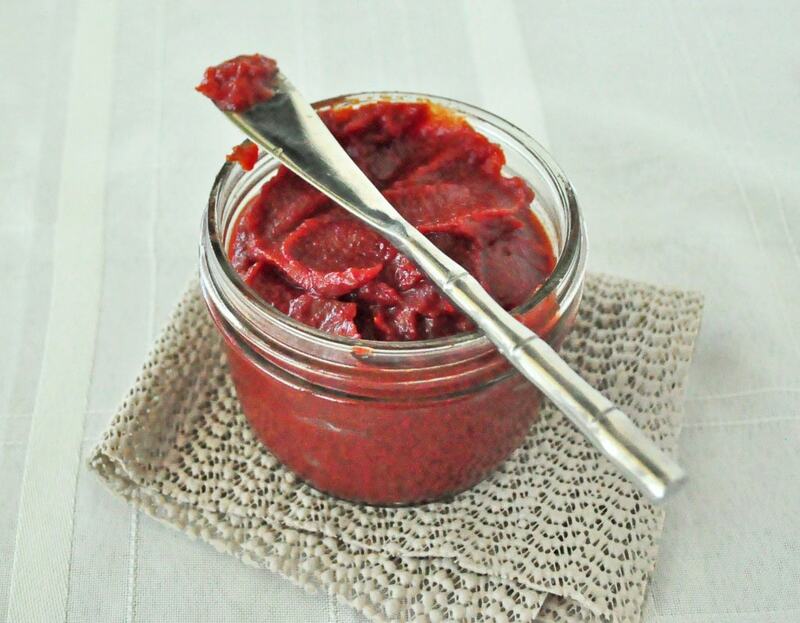 Healthy Homemade Ketchup Recipe. Lately, I have been doing a lot of condiments, so you probably had seen this homemade ketchup recipe coming. First we did the BBQ Sauce, then we did the Dairy Free Ranch and now homemade ketchup. Everyone likes ketchup, but most people don’t make their own. The funny thing is, it is super simple to make a ketchup. If you have toddlers like me, you know that kids just eat gobs of ketchup if they are not monitored. If my daughters had their way, they would eat it by itself. This ketchup was so easy to make and contains just a small amount of sweetener. Most commercial brands contain high fructose corn syrup. The few store bought ketchup brands that I have tried without high fructose corn syrup left a lot to be desired. This recipe makes about 1 cup and should keep in the fridge a few weeks. I store mine in a glass jar. You can also freeze it for longer storage! To keep it vegan, just use maple syrup instead of honey. Works great! In a large sauce pan, heat all the ingredients together on med until everything is well combined. Take a test taste. If you like a sweeter ketchup, add a tad more honey. That’s it. best ketchup i ever made. it was my first! I used a fresh beefsteak tomato instead of the tomato paste. I loved this and thought it was a great alternative to processed store bought ketchup. I would like some clarification. A 6-oz. can of tomato paste is about 2/3 cup not 1/3 cup. I made the recipe using a can of tomato paste and it is very, very thick. Is this how it is supposed to be, or should I have used only 1/3 cup tomato paste? Maybe double the other ingredients if using an entire 6-oz. can? I am sorry for the confusion. :) If it's too thick for you, you can add more of the other ingredients. It freezes well, so you can freeze whatever you don't use right away. Kindly clarify Stephanie's inquiry. If you use a 6 oz. can, are the amounts in the recipe correct? Or do they need to be doubled? I believe the amounts are correct. Looking forward to trying the recipe today. Still unsure concerning Stephanie’s question. Is the quantity of tomato paste... 1 - 6 ounce can or... 1/3 cup Thank you for sharing.